Otto Acron –May 12, 1935, born Alexander James Alsop in Sydney Australia, to Lilly Elizabeth and James Gess Alsop. He had two brothers, Ken his older and Ian his younger brother. His father was strong. Worked on the railways as a boilermaker. Very big man, not all muscle, but with very impressive big arms. Otto liked to read Superman and Captain Marvel comics. He read about a man called William Pagel. A South African circus owner and strongman. One of his stunts was to carry a 1,000 lb horse up a 12 ft ladder. This stunt really fascinated him. Carry a 1,000 lb horse up a ladder — no man could do that! No way! Never dreamed that carrying a horse up a ladder would start his adventure as a circus strongman. He was 12 when his father took him to see a professional wrestling match at Leichhardt Stadium. It impressed him so much that he told his dad that one day he would be a professional wrestler. When he was 14 a friendly boxing match which damaged his brain and took years to heal. The challenge he set himself to recover mentally as well as physically. To build his body to perform extraordinary feats. To stand the weight of a car running over him. To lift a 3,000 lb car completely off the ground. To carry 1000 pounds horse up a 14 foot ladder. Now twenty years old, he kept that promise he had made to himself seven years before that one day he would be a professional wrestler. 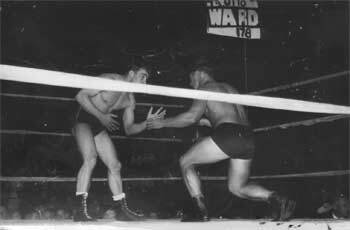 Before long he was wrestling at Leichhardt Stadium, under the name of Otto Ward. This was changed later to Otto Acron. He was wresling now at the very first stadium where he saw his first wrestling match. 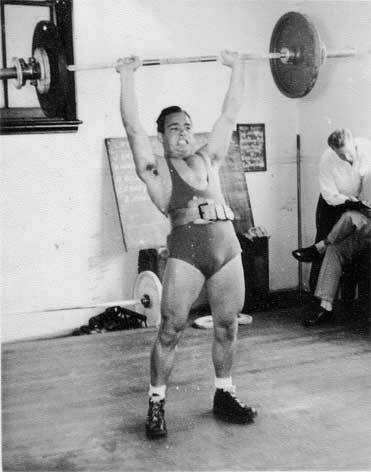 In 1955 he worked as a strongman on fairgrounds throughout New South Wales. Bending iron bars, breaking chains. getting run over by cars.etc. When not doing that, he worked in Roy Bell’s, Jimmy Sharmans and Les McNabb boxing tents. Taking on all comers. 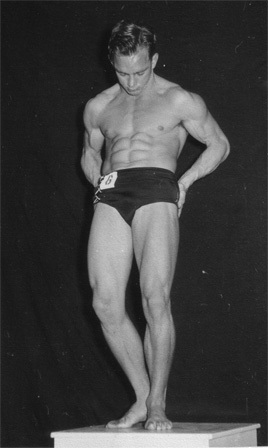 1959 he approached Bullens Circus to work as a strongman. Years ago they saw a South African called William Pagel carry a 1,000lb horse up a 12ft ladder. If you can do that, you'll have the job. 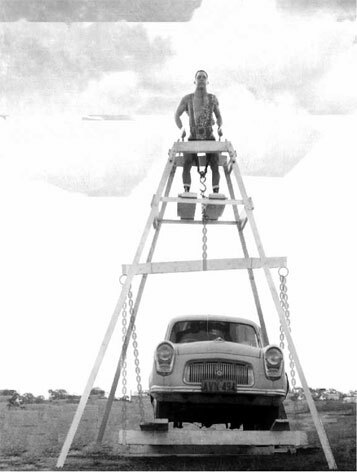 Within two weeks Otto had made two 14ft ladders. His adventure as a circus strongman had started. 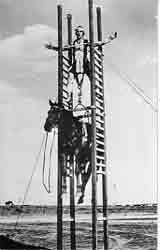 He traveled Australia and New Zealand carrying a 1,000lb horse up a 14 ft ladder. This stunt would be performed over 2,000 times in his career. In December ’62 he wrestled for Dale Martin Promotions, wrestling all over England. 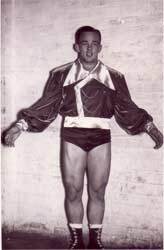 In the summer of 1962 he worked for Circus Arnardo in Norway and returned to England,where he wrestled during the winter season. In the summer of 1963 he went and worked for circus Toni Boltini in the Netherlands. He was married there and continued working in the Netherlands, Belgium, and Germany. In August 1971 Otto Acron took on two aeroplanes in a tug of war at Rotterdam Airport.This was the first time he had tried it. It was a great success and on Thursday the 19 of August it hit the newspapers. The Haagsche Courant, one of the top newspapers in the country had a photo of the stunt right across the front page. This stunt went into newspapers all over the country. In 1974 he returned to Australia with his wife Irene and their three children Cindy, Otto and Paul. He continued working as a strong man.